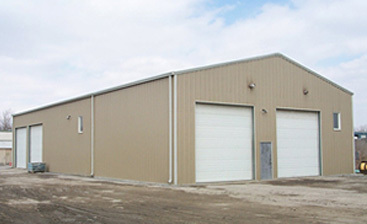 When looking to create a warehouse or storage building for your business, utilizing a prefabricated kit from Toro Steel Buildings is an ideal solution. Regardless of the size of your company or how big you need the structure to be, our prefabricated steel building systems can provide you with a variety of benefits that you would not otherwise get with other types of construction or construction materials. A steel structure is durable, allowing it to hold up better to time and the weather. There are nearly endless features and accessories that can be added to help customize the building for your needs, regardless of size. Gabled: A gabled style building can have an eave height of 10 – 26 feet, going up by one-foot increments. It can also be anywhere from 30 – 100 feet in width, increasing in one-foot increments, and have a length of 30 – 200 feet, increasing in either four, five, or six-foot increments. Single Slope: A single slope style building can have an eave height of 10 – 22 feet on it’s lowside, going up by one-foot increments. It can also be anywhere from 30 – 60 feet in width, increasing in one-foot increments, and have a length of 30 – 200 feet, increasing in either four, five, or six-foot increments. Finding an existing structure that includes all of the features you require, along with being the right size can often be a draining endeavour. At Toro Steel Buildings, we specialize in creating prefabricated building kits that fit within your budget and can be up by your deadline. Our specialized engineering and project management teams will listen to your building needs and then design a structure that includes them, saving you the cost of redesigning or retrofitting a space that wasn’t suited for you to begin with. 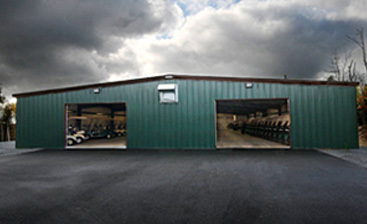 For more information about our steel storage buildings and warehouses, reach out to us at 1-877-870-8676. You could also request a free brochure or submit a request for a free online quote.